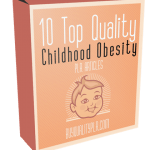 In this PLR Content Pack You’ll get 10 Top Quality Metabolic Syndrome PLR Articles and Tweets with Private Label Rights to help you dominate the Metabolic Syndrome market which is a highly profitable and in-demand niche. 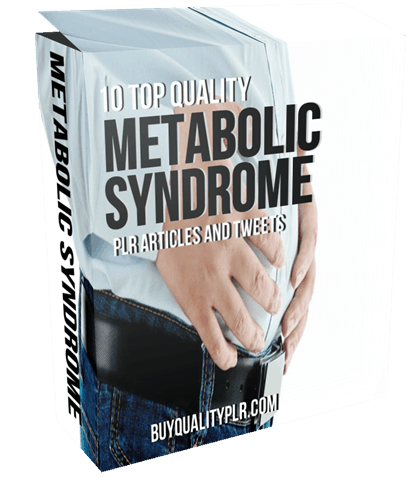 These Metabolic Syndrome PLR articles are available in Text file format and can be downloaded instantly after purchase. 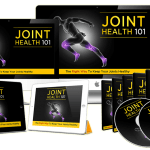 What Can You Do With This Metabolic Syndrome PLR? “Metabolic syndrome” is the common term for a combination of conditions such as high blood pressure, high blood sugar, excess tummy fat, and abnormal triglyceride levels. It can increase your risk for diseases like stroke, heart disease, and diabetes. Metabolic syndrome is a serious condition which can lead to early death if left untreated. There are several complications of metabolic syndrome that should be considered. * Atherosclerosis – When plaque builds up in your arteries causing narrowing of your arteries, it’s called atherosclerosis. The plaque is usually formed by a build-up of fat and cholesterol. When your arteries are clogged like this, it will reduce the oxygen in your blood, and your blood supply is restricted in this case too. If untreated it can lead to heart attack, stroke, and heart failure. * Diabetes – This is characterized by high blood sugar and can be type I or type II. Type I is considered irreversible insulin-dependent diabetes. Type II can often be treated with diet and exercise and other medications instead of insulin. There are many problems with diabetes, even when kept under control. It can lead to eye damage, nerve damage, kidney disease, and even limb amputation. * Heart Attack – Due to clogged arteries you could suffer a heart attack. This is very serious because only 24 percent of patients survive a heart attack – even when they have them at the hospital. Survival rates are as low as six percent for those who have a heart attack outside of the hospital. As you can see, it’s important to control issues with metabolic syndrome if you want to avoid a heart attack. * Kidney Disease – The main cause of kidney disease is adult onset diabetes or type II diabetes, mentioned above. If you feel like you need to urinate often, you cannot empty your bladder, and you get a lot of urinary infections or have an enlarged prostate, be sure to get checked for kidney disease. * Stroke – When you have a sudden interruption of blood supply in your brain in the form of a blockage, it can lead to stroke. Some strokes are also caused by burst blood vessels. Most strokes related to metabolic syndrome are due to blockages. * Fatty Liver Disease – Your liver helps your body digest food properly. It stores energy and removes poisons from your bloodstream too. If you develop fatty liver disease, it simply means that fat has built up in your liver. This is a common condition for alcoholics, but it also happens in people with metabolic syndrome. It can lead to cirrhosis and be life-threatening. * Peripheral Artery Disease – Also known as PAD, this condition means that you aren’t getting enough circulation to your limbs. It can be a precursor to stroke and heart attack. Plus, some people end up losing a limb if left untreated. * Cardiovascular Disease – Essentially, any issue involving the heart or blood vessels of the coronary artery is considered a cardiovascular disease. It can lead to high blood pressure, heart attack, and stroke. 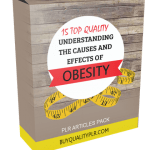 We will only be selling 50 copies on this Metabolic Syndrome PLR content pack, so don’t waste any time and grab your PLR license while it’s still available for sale.